Start your day out in Dublin with coffee at Steam in Dublin City Centre. Steam serves locally owned and roasted Cloud Picker coffee and is associated with The Alex, a hip hotel. Consider taking your coffee to go and make your way to the Pearse Street DART station. Catch the train along the Dublin North Coast to Howth. 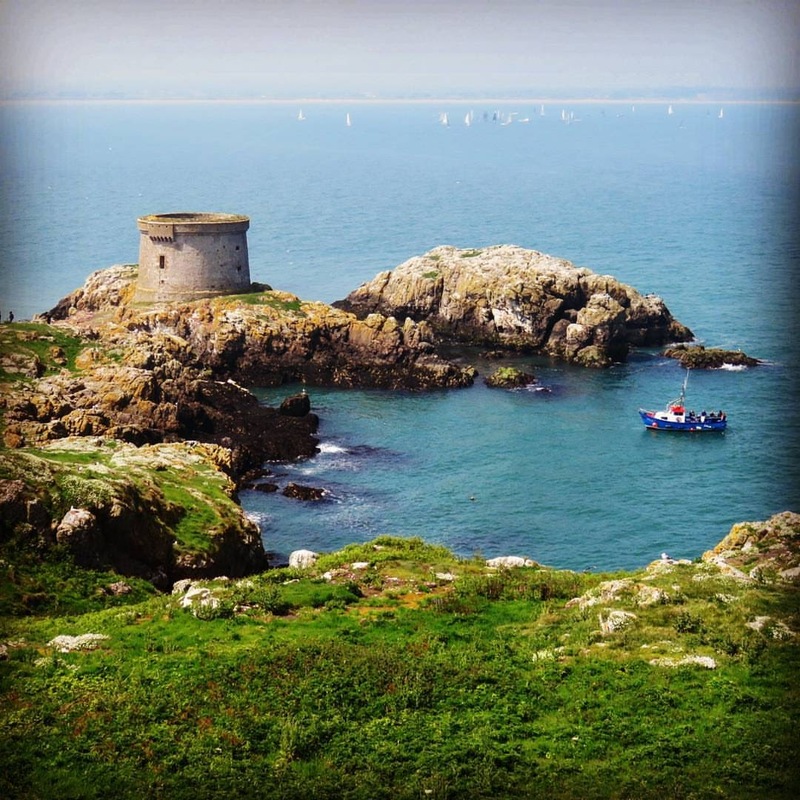 Hike the iconic Howth Cliff Path Loop. Follow the colored arrows along the trail to make sure you stay on track. The Howth Cliff Path begins with a slow ascent out of Howth Village. You may find the number of signs cautioning: Warning! Dangerous Cliffs to be disconcerting but don't let them deter you. Look down to breathtaking views, just be careful not to stray too close to the edge. I definitely recommend wearing long trousers for this hike because there are a number of thorny species living alongside the trail. The trail is quite narrow in parts and you'll have to push aside the brush to get through. Look out at the lighthouse in the distance and then turn upward toward the summit. Roughly hewn steps are there to aid your climb. 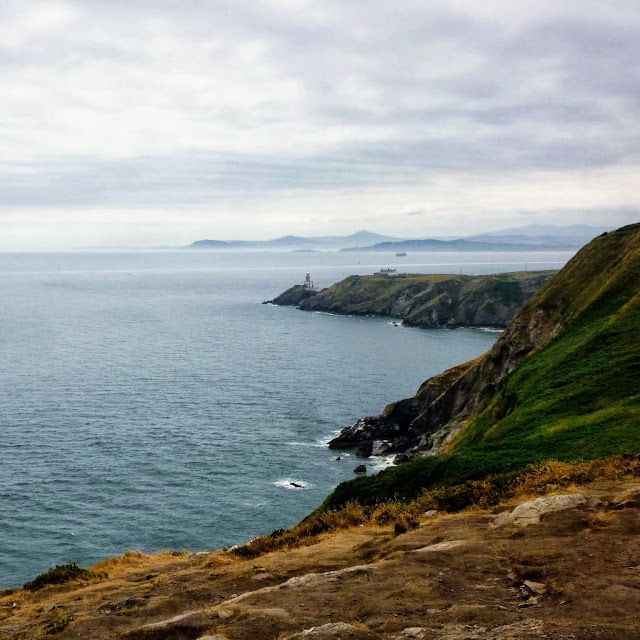 The Howth Cliff Loop Path trail is about 6 km and takes about 2 hours to complete. 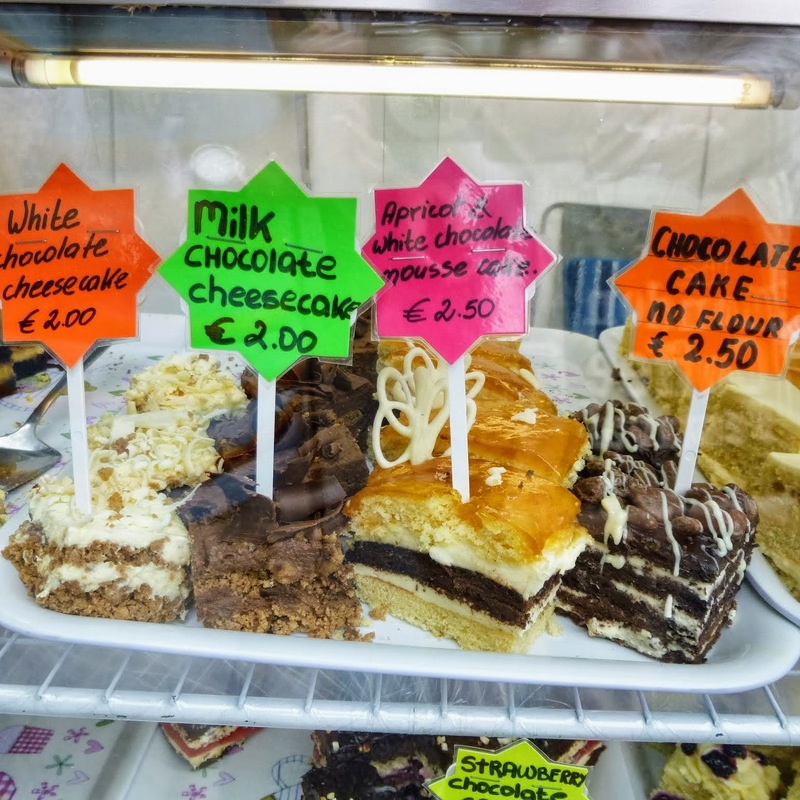 If you visit Howth on the weekend, take some time to browse Howth Market for a snack or sweet treat after your hike. Seasonally, you can take a 15 minute boat ride and go birdwatching at Ireland's Eye island. You'll definitely spot seabirds nesting on Ireland's Eye. If you're lucky, you may even see puffins. Ireland's Eye offers beautiful vistas and great hikes. Just be careful if you go during seagull nesting season. The adult gulls are incredibly aggressive if you get too close to their nests. The nests are actually pretty hard to avoid because there are so many. 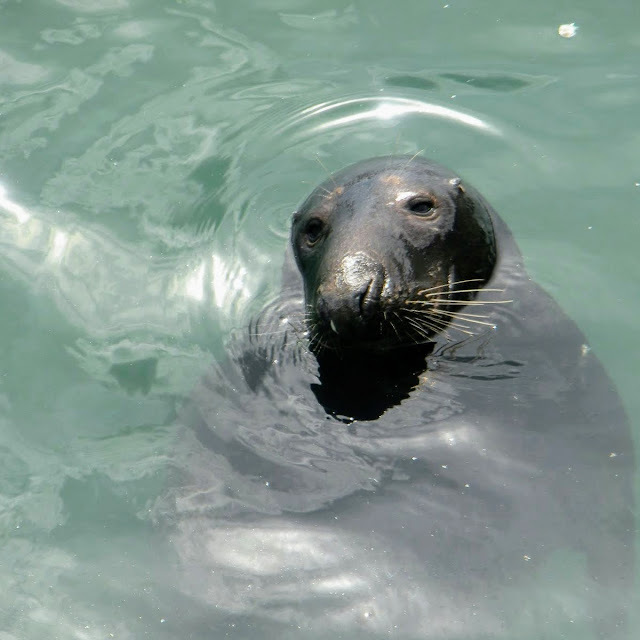 After a morning spent in nature, stop for a fresh fish lunch along Howth Harbour at the Oar House. You might even spot a seal in the harbour on the way. When we visited, we were seated at a table near the kitchen which we were led to believe by the hostess was suboptimal (it was the last table they had available). It turned out to be a fabulous seat. One of the chefs leaned over and asked me if I'd like to try an oyster. I'd never had one before so decided to give it a whirl. I wouldn't eat them by the bucket but I enjoyed the one. It had a slimy texture but was nice and salty -- very fresh. 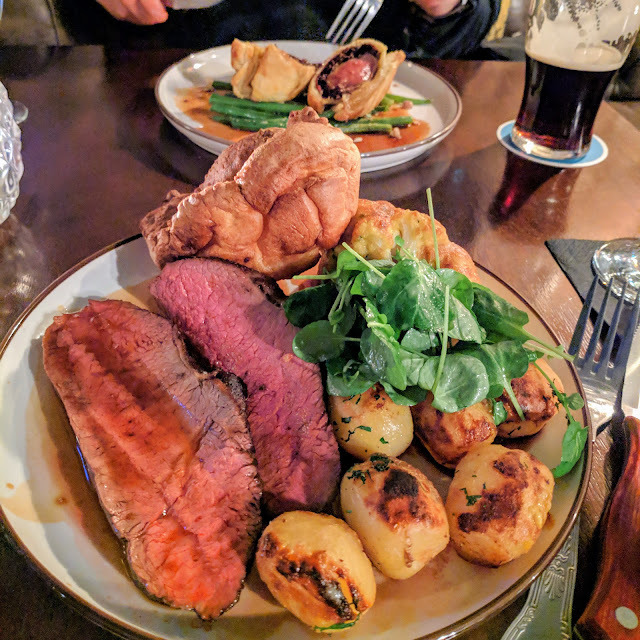 Share one of the extremely large mains or order your own if you're feeling particularly hungry. We opted for the plaice with butter and almonds. After lunch, opt for a pint or a hot whiskey at the Abbey Tavern to aid your digestion. The Abbey Tavern is particularly atmosphere on a cold day when the smell of a roaring peat fire adds to the atmosphere. 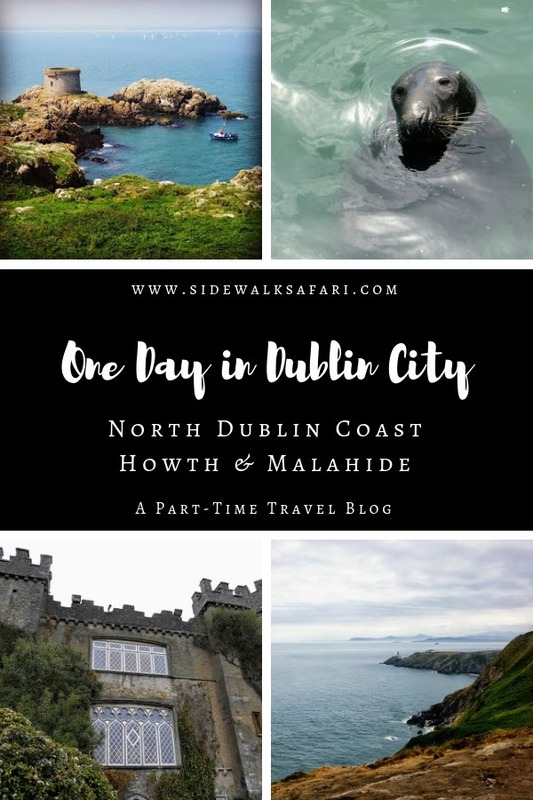 Continue your day exploring Dublin's North Coast by taking the DART to Malahide. Walk from the Malahide DART station to Malahide Castle, the flagship attraction here. Don't be surprised by how far off the main road it is. You'll walk through a lovely ivy covered forest to get there. The castle looks even cooler up close after the half mile walk. Photos aren't allowed inside, but it's definitely worth taking the tour. The castle was occupied by the same family, the Talbots, for more than 800 years. At the end of the tour, stop for a spot of tea. Explore the grounds of Malahide Castle on your return to the train station. You'll find an overgrown ruined church and cemetery with a sculpture of a dog standing guard nearby. Take the DART train to Connolly station and then walk or take the Luas toward Smithfield. Eat dinner at Legal Eagle on the northside of the River Liffey back in Dublin City. The Legal Eagle serves hearty gastropub fare and a fab gin and tonic. After dinner, catch a gig at SIN É music pub which is located nearby.SIN É is known for an eclectic mix of musical performances so there is bound to be something on that's worth seeing as a finale to this one day in Dublin itinerary exploring Howth and Malahide. 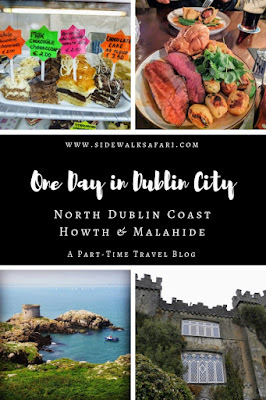 Explore a one day Dublin City itinerary focused on Dublin's North Coast. 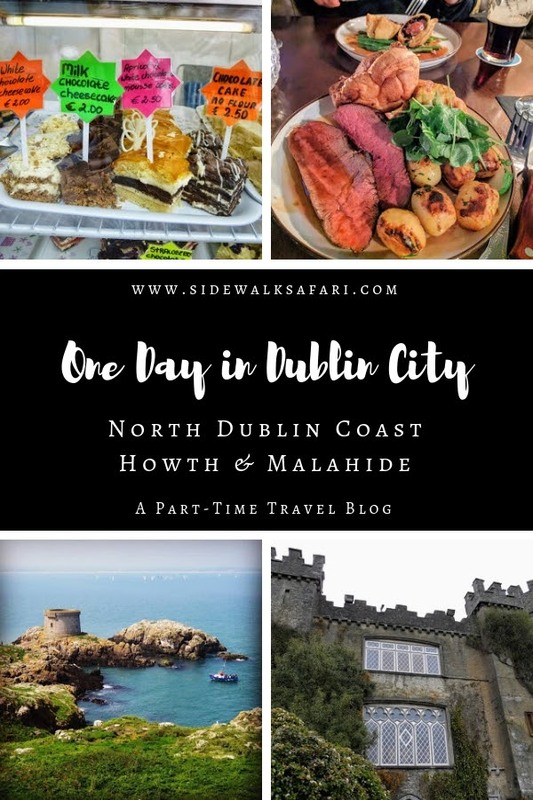 Explore Howth Village and Malahide Castle on a day trip from Dublin City.